The Legacy Award honors those who make a significant, positive impact on Michigan’s arts, history, culture or environment. The 2018 Legacy Award was presented to Marsha Smith of Traverse City, in recognition of over four decades of community building in northwest lower Michigan. The 2017 Legacy Award was presented to Doug and Anne Stanton for their significant contributions to Michigan including their own prolific writing, vision for building community through literature, and commitment to sharing a love for writing and reading with the next generation. The 2016 Legacy Award was proudly presented to Gene Jenneman and the Dennos Museum Center in recognition of 25 years of arts inspiration, collaboration, accessibility and leadership in northern Michigan and beyond. In 1988 Gene Jenneman was hired by Northwestern Michigan College to supervise the planning, construction and direction of the Dennos Museum in Traverse City. The museum opened in 1991, and Gene continues to serve as its founding Executive Director. While overseeing the building of the Dennos Museum, Jenneman became a founding board member of Michigan Legacy Art Park. Guests at Michigan Legacy Art Park’s Legacy Gala on Saturday, August 16, gave a standing ovation to George Zimmermann, the man who helped lead Michigan to national recognition through the Pure Michigan ad campaign. Zimmermann received the Art Park’s Legacy Award, given to those who represent the spirit of the park, which celebrates Michigan’s arts, history and culture. Travel Michigan’s David Lorenz was at the event, recognizing Zimmermann with a speech and letter read on behalf of Michigan’s governor, Rick Snyder. In 2013 David Barr and Beth Dwaihy Barr were honored with the Legacy Award for their strong committment to the arts. David’s career as an artist, instructor, author and global thinker has crossed borders around the world, bringing people and ideas together. 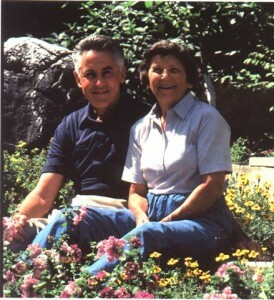 The love of his life, Beth, has been David’s companion and inspiration throughout his career. As a professional dancer and instructor of dance, Beth has touched the lives of many through her art. In 2012, Bob and Jane Holdeman were honored with the Legacy Award for their lifelong commitment to advocating for the arts in the life of the individual and in their community. As an architect, Bob’s work is prized for achieving harmony with nature and a sense of place. Jane is committed to access to the arts and literature. In addition, Bob played a significant role in helping to found Michigan Legacy Art Park. In 2011, Gov. William and Helen Milliken were presented with the award. Gov. Milliken’s reputation stands as a protector of civil rights, the environment, and the arts, who got things done through legislative consensus and cooperation. Helen Milliken has been a powerful voice for public support of the arts. 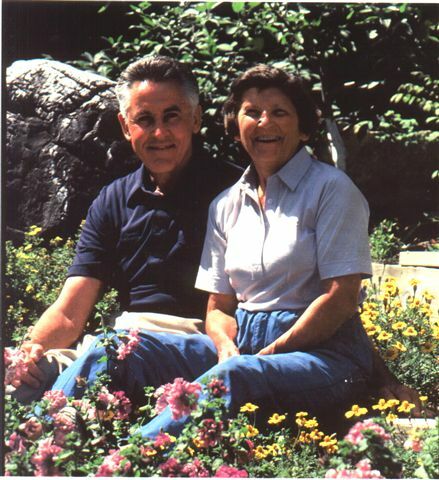 In 2010, the Legacy Award was presented to George and Althea Petritz who were among those that helped establish Buck Hills ski area and later took sole ownership of Crystal Mountain. Over the last 60 years, the Petritzes have left a lasting imprint on the economy and culture of Benzie County, not only as business owners but as engaged members of the community. In 2009, the Tuskegee Airmen of World War II were the first to receive the honor in conjunction with the installation of David Greenwood’s Fallen Comrade, a tribute to the P-51 “Mustang” fighter plane that the Tuskegee Airmen flew bravely into battle.